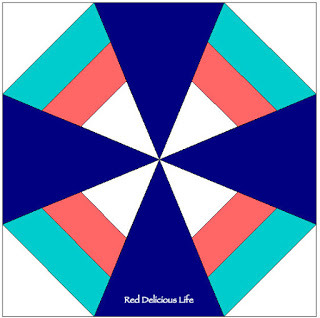 At the February meeting, we introduced the Dutch Windmill Block, from Red Delicious Life. It’s a beginner paper-piecing block, perfect for those guild members who want to try this technique or practice for our June workshop with Amy Garro! We will be donating the finished quilt to a yet-to-be-chosen charity. To participate, use the pattern handed out at the February meeting. You need four copies to make a complete block; you may photocopy (just double-check that copies are the exact same size as the original) or trace the pattern. 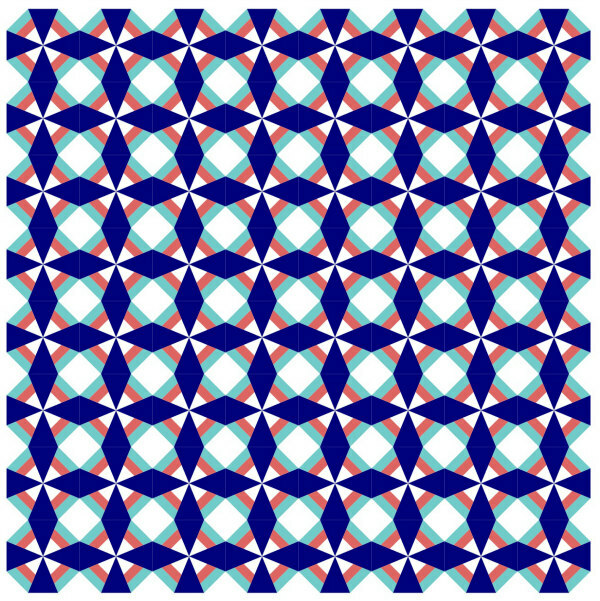 Some well-seasoned paper piecers in the guild—thank you!—cautioned against printing from different printers for this project to avoid discrepancies in the pattern dimensions (this has nothing to do with the pattern itself or with your printer’s settings), so be sure to use the provided pattern instead of printing one out yourself. For sections A1 and A5, use the white fabric handed out at the meeting. For section A4, use the navy fabric handed out. You may use any color you want from your scraps for sections A2 and A3 as long as you (1) use solids, (2) use the same solids in all four quadrants of the block, and (3) do not use white or navy. Please keep the paper on the pattern after you’re done sewing. Is there a way I can pick up some fabric and the pattern? I will also get the materials for Rene if she feels up to sewing.